The second volume workout of this week will hit the shoulders, traps, and abs pretty hard. Again, choose weights heavy enough to stress the muscles but focus on maintaining form. Rest periods between supersets should be 60-90 seconds for max hypertrophy. 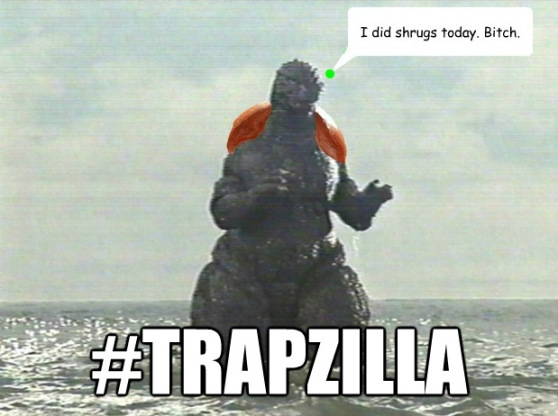 #Trapzilla is ready. Are you? Is it 50-60% of box squat max or 50-60% of regular squat max? Also, for the ab supersets, do you go straight from one to the next and then rest for 60-90 seconds after you’ve done the three or rest 60-90 seconds between them? 50-60% of your regular squat max. And for the ab supersets, go straight from one to the next, then rest for the 60-90 after completing all three exercises.